An audio compact disc that represents the mimir, a new magical item offering a strange and thrilling tour of the Outlands. More than 40 CD tracks allow players to hear what their characters would hear when consulting this handy (and some say dangerous) oracle. 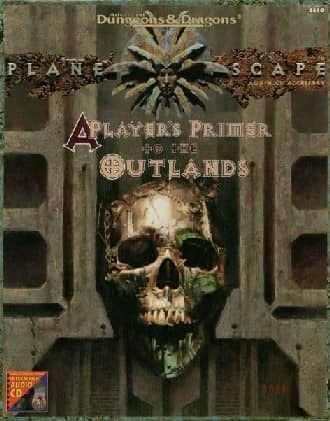 A 32-page guide to the most important sites and features of the Outlands. A full-color poster map of the Outlands with never-before-seen maps of gate-towns.